The sense that democracy is in retreat worldwide has become widespread. In response to this "democratic recession," contemporary development policy offers a package of one-size-fits-all solutions to the challenge of making states more responsive to the needs of the poor. 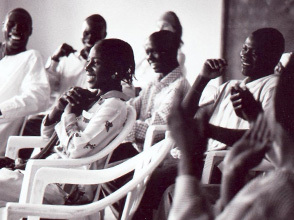 The Citizenship DRC seeks to go beyond this 'one-size-fits-all' understanding of democracy, by asking how alternative forms of politics – such as protests, social participation, activism, litigation and lobbying – engage with the formal institutions of representative democracy to produce more just and equitable societies. This research programme was convened by Vera Schattan P. Coelho and Bettina von Lieres and involved partners from Angola, Brazil, Bangladesh, India, Nigeria, South Africa and the UK. Schattan P. Coelho, Vera and Bettina von Lieres, eds. This chapter, available in full, provides an overview of this edited volume, which features a collection of new empirical case studies from the South that demonstrate how forms of political mobilizations - such as protests, social participation, activism, litigation and lobbying - engage with the formal institutions of representative democracy in ways that are core to the development of democratic politics. The Pioneers of Participation workshop highlighted the importance of recognising country context. Yet international experiences shared by participants also highlight the gains of recognising and adapting Public Participation Best Practice. Om Prakash from PRIA in India, Tricia Zipfel from the UK and Nina Best from Polis in Brazil emphasised how both the state and civil society âlearnâ effective participatory strategies through ongoing engagement and the adaptation of legislation and policies. This emphasises a recurring theme of the workshop: innovation is as important as legislation, and legislation needs to be flexible enough to allow adaptation. Bangladesh has come to embody an interesting paradox. On the one hand, it has experienced rising rates of growth, a slow but steady decline in poverty and impressive progress in terms of social development, outperforming some of its richer neighbours on a number of Millennium Development Goals. On the other hand, it has an abysmal record on governance and was ranked as the world's most corrupt country for five consecutive years by Transparency International. There is an emerging view that the country's extremely active development NGO sector has contributed to some of the more positive achievements. The question that this paper sets out to address is why these organisations have not made an equivalent contribution on the governance front. The paper argues that while Bangladesh is reported to have more NGOs per capita than other developing countries, those organisations have gradually abandoned social mobilising and collective action strategies for a narrower focus on service delivery and microcredit provision. Our research with the members of six organisations that straddle the continuum between microfinance and social mobilisation suggests that the specific developmental strategies of these membership-based groups do indeed have consequences for both development and democracy in the country. Mobilization and Participation: A Win-Win Game? Over the last decade or so, countries in southern Africa have experimented with new techniques for citizen participation; forums, councils, committees, deliberations and debates have increasingly invited ordinary people to take part in shaping the institutions that affect their lives. In November 2009, 40 individuals on the forefront of these innovations were brought together to identify common challenges and to share strategies for overcoming them. This report summarises the lessons learnt from this event. This chapter is about the struggle to consolidate democratic gains in Nigeria through citizen mobilization, following President Olusegun Obasanjoâs attempt to change the constitution in order to prolong his tenure in ofï¬ce for a third term. It examines the mobilization of an anti-third term camp, which was drawn from Nigeriaâs parliament, civil society, opposition parties and the popular masses. In VSP Coelho & B von Lieres (eds) Mobilizing for Democracy: Citizen Action and the Politics of Public Participation. London: Zed. In VSP Coelho & B von Lieres (eds) Mobilising for Democracy: Citizen Action and the Politics of Public Participation. London: Zed. The sense that democracy is in retreat worldwide has become widespread. But the emergence of citizen-centred, governance-focused and development-oriented approaches suggests that a more complex and hopeful shift is also taking place, say Nicholas Benequista & John Gaventa. Reversing the Flow: A New Democratic Conversation? The complex nature of the challenge posed by state-society relations to the realisation of citizenship rights in the poorer countries of the world reflects the incapacity or unwillingness on the part of the state to guarantee basic security of life and livelihoods to its citizens and its proneness to capture by powerful elites that perpetuate this state of affairs. Consequently, access to resources continue to be defined by position within an unequal social order that is largely constituted by the ascribed relationships of family, kinship, caste and so on. These relationships pervade all spheres of society, rendering irrelevant the idea of an impersonal public sphere which individuals enter as bearers of rights, equal in the eyes of the law. Indeed, given their reliance on patron client relations for their basic survival and security, the idea of individual rights is unlikely to have much meaning or relevance in the lives of most poor people. This paper explores the hypothesis that the possibility of belonging to alternative associations whose membership is not "given" by position in the social order holds out the greatest promise for democratising the social order. Bangladesh offers an interesting context in which to explore this hypothesis because while it embodies most the problems of bad governance outlined above, it also has a large number of civil society organisations, many of whom work primarily with the poorer sections of society. The research focused on the working poor who are most likely to belong to these associations. Analysis of their narratives about their lives and livelihood and their views about rights and social justice suggests, not surprisingly, that there is nothing inherently democratic about civil society organisations in Bangladesh, even those ostensibly oriented to the interests of poor people. What appeared to explain the extent to which organisations were able to achieve democratic outcomes appeared to depend, first of all, on the extent of their commitment to the promotion of citizenship rights among poor people and secondly, on the extent to which they were able to carry out their commitments without interference from the state. In the context of Bangladesh, the state appeared to be far more pro-poor in rural than in urban areas. Brazilâs health councils appear to offer inspiring examples of what Fung and Wright (2003) term âempowered participatory governance.â But what happens in practice? This article narrates an episode in the life of a municipal health council in northeast Brazil, in which democracy itself came under deliberation. It seeks to locate normative assumptions embedded in theories of deliberative democracy and participatory governance in everyday conduct in one of these institutions. It suggests that assessing the democratizing potential of the myriad new spaces that now populate governance landscapes the world over calls for far closer attention to be paid to power, political culture, and politics. Brazil's emergence from two decades of military dictatorship in the mid-1980s gave rise to a flowering of democratic innovation. Experiences during the struggle for democracy shaped the experiments that took place over the following years to create institutions that could ensure the accountability and responsiveness of the new democratic state. Innovations in participatory governance, such as participatory budgeting and sectoral policy councils and conferences at each tier of government, provided crucibles for new meanings and expressions of citizenship and democracy. Brazil's participatory institutions have attracted considerable international attention. Academics, activists and practitioners in countries, with very different political histories and cultures of governance, have looked to Brazil for inspiration and have sought to replicate Brazil's democratic experiments in their own contexts. Brazilian models may seem an attractive new component to include in the democracy building packages favoured by aid agencies. But, this paper suggests, the contribution that Brazil's democratic innovations have to deepening democracy, enhancing accountability and engaging citizens may lie not only in their innovative institutional design but also in what Brazilian experience can teach us about the pre-conditions for effective participatory governance. Focusing on the north and north east of the country, whose experience is under-represented in the international literature, this paper draws together insights from four extended case studies, carried out as part of a research process that brought together activists, practitioners and academics, in a collaborative study of the meanings and practices of participation and citizenship in Brazil. Third World Quarterly, 29(6): 1069-86. Abstract: This paper by Steven Robins, Andrew Cornwall and Bettina von Lieres argues for an approach to researching citizenship and democracy that begins not from normative convictions, but from everyday experiences in particular social, cultural and historical contexts. The authors consider the ways in which the terms Ã«democracyÃ­ and Ã«citizenshipÃ­ have been used in the discourses and approaches taken within mainstream studies of citizenship and democracy, drawing attention to some of the conceptual blind spots that arise. Over the past decade, around the world, there has been an explosion of interest in more participatory forms of governance. This has happened partly in response to demands from citizens to have more say in decisions that matter to them; but it also reflects a growing recognition, by those in power, that community involvement is central to the major challenges of revitalising democracy, improving service delivery, tackling poverty and building strong communities. The need to address these complex issues has led to a shift in thinking from narrow ideas of local government to broader concepts of community governance, in which multiple actors play a part in public policy and the delivery of public services at neighbourhood, local government and even national levels. In developing new forms of community or participatory governance, the challenge is twofold. On the one hand it requires empowered local communities whose citizens are able to participate in decision-making, claim their rights and hold institutions to account. And critically, it also requires government institutions and service providers to have the will and the capacity to respond to communities, to engage in more open and accountable ways and to recognise their right not only to have a voice, but also to influence the decisions that affect them. Through the analysis of two participatory forums active in the Vale do Ribeira (Brazil)âthe Committee for the Management of Water Resources (CGRH) and the Consortium of Food Safety and Local Development (Consad)âthis article discusses the argument that "well designed" institutions enable the inclusion of a broader spectrum of actors in political debates, as well as reduce the asymmetries between them thereby facilitating the negotiation and agreement of politically and economically viable projects that would help to encourage development in the region. The two forums were observed in terms of how they dealt with two polemical regional issues: the proposal to build a big dam, a process which has been going on for more than a decade and the deï¬nition of a program of sustainable development capable of reconciling environmental conservation and growth in the local economy. The analysis suggests that during the period of research, these forums recreated in the participatory sphere coalitions that were already present in the regional political scene, thereby acting as an extension of the party political game rather than as arenas where new arrangements of actors could agree on alternative projects. From a theoretical perspective, this result raises again the question of the origin and the change of institutions, in that it questions the mechanisms necessary for the creation of institutions explicitly designed to alter the status quo. planning priorities of local government. It is thus precisely at the inception and formulation phase of specific local government policies â often mooted during election campaigns â where people at the grassroots level can ensure that their voices are heard, and do indeed count, in local government planning frameworks. Na base da emergÃªncia do que se convencionou chamar por ânova ruralidadeâ hÃ¡ um deslizamento no conteÃºdo social e na qualidade da articulaÃ§Ã£o das suas trÃªs dimensÃµes definidoras fundamentais: as relaÃ§Ãµes ruralâurbano, a proximidade com a natureza e os laÃ§os interpessoais. Os significados maiores dessa mudanÃ§a sÃ£o, de um lado, a erosÃ£o do paradigma agrÃ¡rio que sustentou as visÃµes predominantes sobre o rural ao longo de todo o Ãºltimo sÃ©culo e, de outro, a intensificaÃ§Ã£o de um longo e heterogÃªneo processo de racionalizaÃ§Ã£o da vida rural. Um processo atravÃ©s do qual o rural, em vez de desaparecer, se integra por completo Ã dinÃ¢mica mais ampla dos processos de desenvolvimento, por meio tanto da unificaÃ§Ã£o dos diferentes mercados (de trabalho, de produtos e serviÃ§os, e de bens simbÃ³licos) como tambÃ©m por meio da criaÃ§Ã£o de instituiÃ§Ãµes que regulam as formas de uso social desses espaÃ§os, agora amalgamando interesses que tÃªm por portadores sociais segmentos originÃ¡rios tambÃ©m de outras esferas. Este artigo discute algumas dessas idÃ©ias, que conformam a tese de doutorado do autor, a partir de uma anÃ¡lise da longa evoluÃ§Ã£o das relaÃ§Ãµes ruralâurbano, contribuindo assim para se pensar os processos de desenvolvimento rural para alÃ©m de um viÃ©s eminentemente normativo. A Participacao e um Caminho para o Desenvolvimento? Around the world concepts and constructions of democracy are under contestation. Some analysts see the spread of democratic institutional designs as evidence of democracys triumph. Others - across north and south - point to growing democratic deficits and how they threaten democratic legitimacy. This paper focuses on emerging debates within what is often referred to as the deepening democracy field, a school of thinking that focuses on the political project of developing and sustaining more substantive and empowered citizen participation in the democratic process than is often found in representative democracy alone. In this article, we examine the question of citizenship and the different ways in which this may determine rights and privileges in Nigeria. The simple, yet complex way in which this can be thrown into sharp relief is to ask the question, Who is a Nigerian citizen? How is this determined and defined by: a) law, b) other factors? Even when citizenship is defined by law or wrested by individuals/groups, it is important to interrogate how Nigerians perceive their own citizenship. Some of the factors to look at include location/space, ethnicity, gender and religion. On the basis of who they think they are and the ways in which they have interpreted their own belonging in the country, people outline what they expect their entitlements to be. How have these expectations been shaped, and do they change over time and space? This article describes Brazils approach to social policy in the light of the debates around the crisis of the Welfare State and the possibilities opened up by deliberative fora. It highlights the option for a model of state- society co-management, which aims to guarantee citizenship rights and analyses the challenges of implementing this model. Co-management works through Councils, organised from the local to the federal level, with responsibility for the different policy areas and based on a principle of parity in their composition between representatives of civil society, of service providers and of the government. The analysis highlights the institutional framework of these Management Councils, the degree of civil society organization and the coalitions between state and social actors as variables that should be examined by those interested in promoting the expansion of the available resources directed to social policies and their appropriate management. It concludes by proposing a research agenda to advance this model of co-management in order to achieve a broader process of democratisation and inclusion.